A man is playing the guitar, a woman is running to meet him and then they are beginning to dance. It might have been an ordinary story, but the man is sitting in a wheelchair and the woman does not have an arm. Their date occurs onstage, however feelings and kiss look so specious. So when the action is over, one of the spectators will ask if they really have love affair. Actually, they are just good actors, who depict feelings. The Candoco Dance Company visited Kiev with two performances. 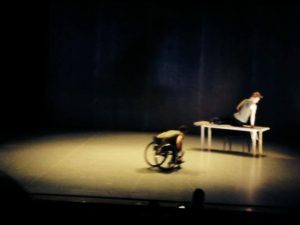 Not only do the usual dancers take part in this London’s company, but also people with disabilities. All of them learned choreography professionally, that’s why accept of a social message their work is a brilliant contemporary art. …. 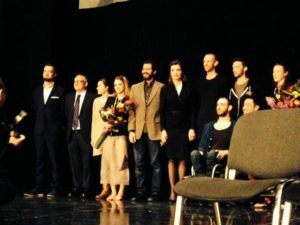 The theatre hall is riddled with security: the first Lady of Ukraine Marina Poroshenko is enjoying the show. 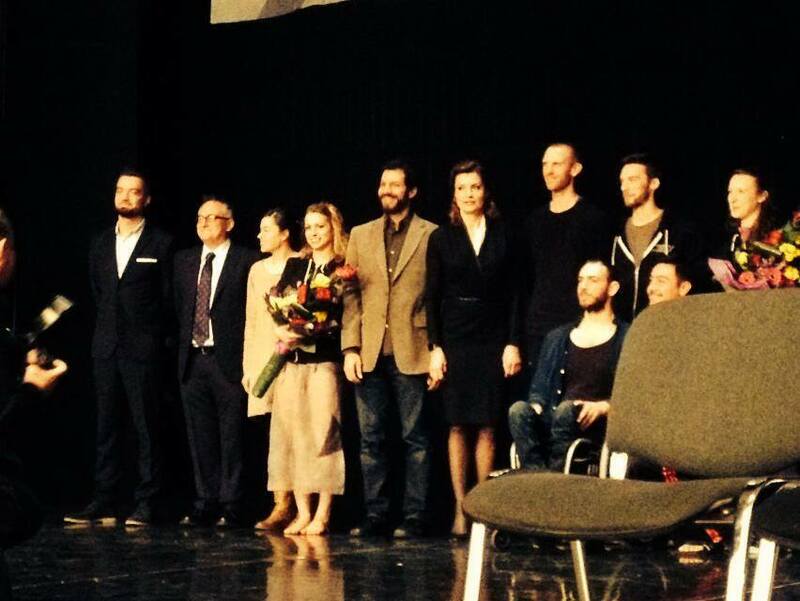 The audience is exploding with applause after each part of performance. They are amused. Truly, Ukrainians got used to being biased to people with disabilities. It is a miracle to see person in a wheelchair at the public places in Ukraine because of lack of ramps and other special conditions. 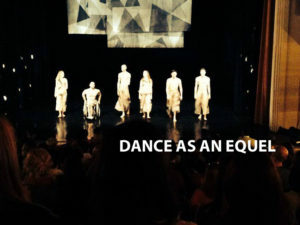 Therefore, Candoco Dance Company gives us a lesson of equality. They suggest changing our perception of handicapped person. They are not helpless, they do not need exaggerated sympathy, they just want to dance. 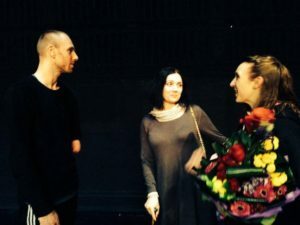 Olena Chinka, the famous Ukrainian disabled choreographer, came to performance after the workshop, which was organized by The Candoco Dance Company for Ukrainian dancers. She was happy to know some professional secrets from British colleagues. She speaks to them behind the scene.